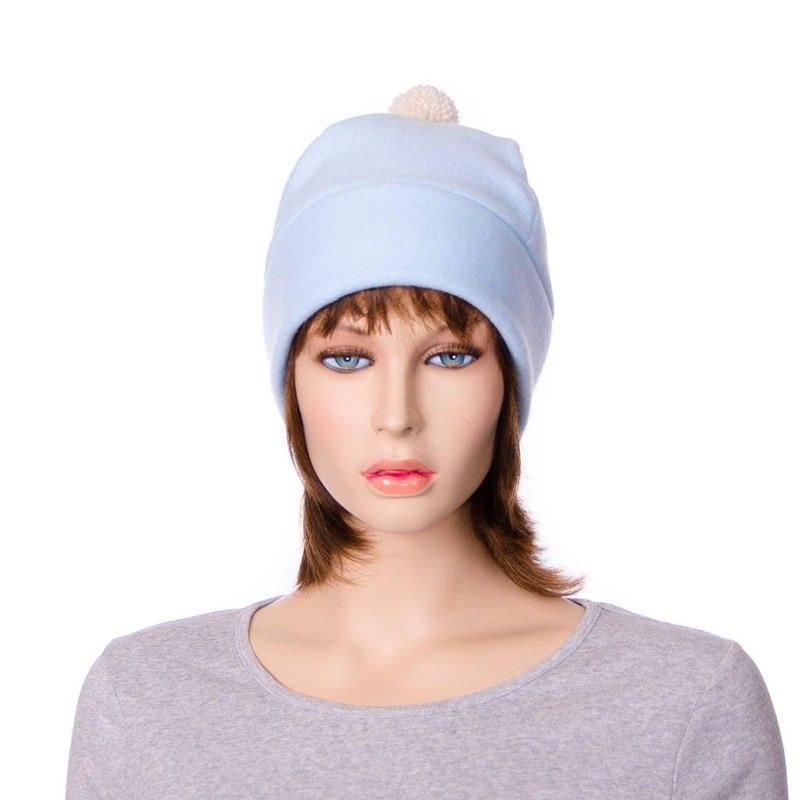 Pastel blue bobble beanie made of fleece. This is a four panel beanie with a double thick headband. Hand tied ivory pompom in the center top. Fits heads measuring 22-24 inches.